Linda Henke recently retired as an award-winning superintendent of Maplewood Richmond Heights, a St. Louis inner-ring suburban district that for years had been plagued with the same problems found in many urban environments. In the twelve years Linda led the district, it moved from being labeled one of the worst schools in Missouri and on the watch list for state take-over, to one of the most dynamic and innovative districts in Missouri. Prior to this position, Linda served for ten years as the assistant superintendent in one of the top tier districts in the state, the School District of Clayton, immersing the district in the study of systems thinking and building a continuous improvement curriculum and professional development infrastructure that received national attention. Linda’s academic preparation includes a master’s degree in public relations from Iowa State University and a Ph.D in educational leadership from the University of Iowa. She has studied Peter Senge’s work with systems thinking for over twenty years and was an executive board member in SOL Ed, Peter’s organization that focuses on sustainability and systems thinking education. She is a certified coach through the Center for Cognitive Coaching. During her career, she was a secondary English teacher, desegregation director, curriculum coordinator, principal, director of curriculum, assistant superintendent, college professor, and superintendent. Linda is the author of numerous articles and book chapters about topics ranging from school change, to literacy education, parent involvement, and school culture. She has been a frequent presenter at state and national conferences and is a sought-after mentor for new superintendents and principals. In recent years she has served on over ten executive and advisory boards including emints National Advisory Board, Webster University’s and Maryville University’s Department of Education Advisory Boards, and the Executive Board of the Kaufman Foundation’s Superintendents’ Forum. She chaired the committee to redesign the University of Missouri at St. Louis’ Ph.D program in Educational Leadership and served on the Executive Board of HomeWorks, a not-for-profit promoting home visits by teachers and leaders. 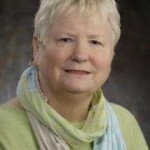 In the year following her retirement from MRH Linda served as a full-time professor at St. Louis University, teaching classes in the superintendency, the principalship, and supervision of instruction. Linda’s leadership work has been featured in The Heinemann Reader; the Field Book for Educators: Building Learning Organizations, edited by Peter Senge, and AASA’s Panasonic Foundation publication for outstanding work with systems thinking. Linda’s most recent work includes creating an early childhood literacy program and corresponding teacher training program to be used in after-school programs in developing countries. Currently it is in pilot status in Guatemala. She has also become a popular executive coach for principals and top-level school administrators as well as a consultant with schools in year-long programs of school improvement. David Bristol serves as the Center’s Assistant Director and handles its administrative functions; however, clients seeking assistance with grant writing will find him a valuable resource. He is also the primary researcher on the team and supports other team members in the preparation of workshops and with the details necessary in providing high quality service to our clients. Prior to retiring as the Director of Education at the Missouri Historical Society, David was the Director of the St. Louis Regional Professional Development Center, one of seven centers across Missouri operated by the Missouri Department of Elementary and Secondary Education. His public school experience includes serving as Superintendent of Schools in two Connecticut districts and Assistant Superintendent of Curriculum and Instruction in an 8,000-student Connecticut urban district. David has extensive grant writing experience. As director of the St. Louis Professional Development Center, he successfully obtained grant funding totaling over $2 million including a three-year $950,000 Federal Department of Education grant on teaching American history, three state grants totaling over $240,000 to fund a Performance Assessment Institute, an African American Achievement Initiative and an Urban Mentor project. At the Missouri Historical Society as the Director of Education, David brought to his department nearly $600,000 in grants including a $200,000 subcontract of a Federal Teaching American History grant and a large three-year Federal Institute for Museum and Library Services grant in collaboration with the Anti Defamation League to create a national curriculum addressing the deepening of historical understanding using material culture, reducing bias. and improving student literacy. David also has experience in grant review having served for many years as a grant reviewer for the Federal Department of Education reviewing Teaching American History (TAH) and Investing in Innovation (i3). 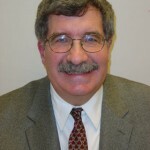 David started his teaching career as a high school history teacher in Westport, Connecticut, and taught at the college level in a school administration program. His education background includes a BA from Cornell College, a master’s from The Johns Hopkins University, and a doctorate from the University of Massachusetts- Amherst.